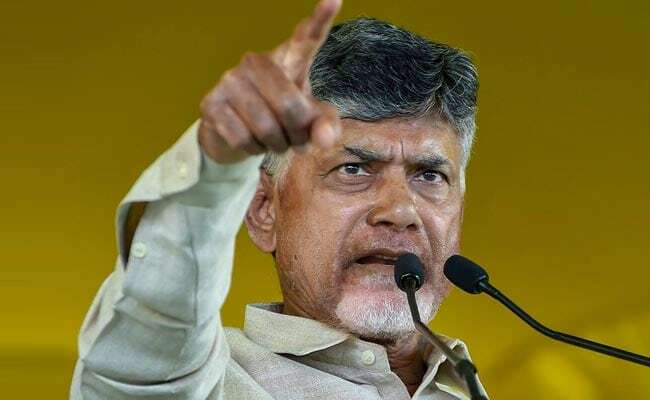 The Election Commission on Tuesday night directed the Andhra Pradesh Chief Secretary to shift the Intelligence DG and not assign him any poll duties. Andhra Pradesh Chief Minister N Chandrababu Naidu accused the Election Commission of bias. The Andhra Pradesh government today transferred the Director General (DG) of Intelligence AB Venkateswara Rao shortly after the High Court rejected its plea challenging the Election Commission's order. The high court rejected the state government's contentions, particularly that the DG had nothing to do with the conduct of elections and that the Election Commission had no jurisdiction over him and ruled there was "no case for interim relief." The court refused to stall Election Commission's order, transferring two IPS officers, including the Director General of Intelligence and a non-cadre officer in the state government, and keeping them away from election duties. The Chief Secretary directed the Director General of Police (Head of Police Force) to not assign any election-related work to Mr Rao till the completion of current elections. The Chief Secretary immediately issued an order transferring the 1989 batch IPS officer. Neither the ruling Telugu Desam Party nor the state government were not so particular about the Election Commission's same directive in respect of the district SPs of Kadapa and Srikakulam. The Chief Minister was adamant the Intelligence chief be continued in the same post and the state officials apparently toed his line. The state government also filed a writ petition in the High Court challenging the EC directive. Andhra High Court Stays Release Of Ram Gopal Varma's "Lakshmi's NTR"